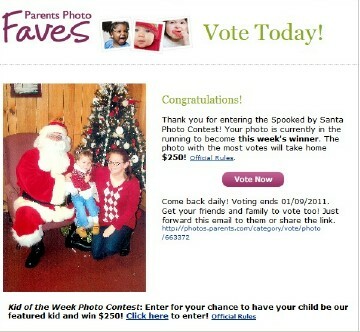 I got an email today from Parents.com letting me know that Adaline’s “Spooked by Santa” Photo is in the running to be this week’s winner! 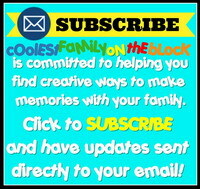 A copy of the message is below with details on how to vote. Come back daily! Voting ends 01/09/2011. 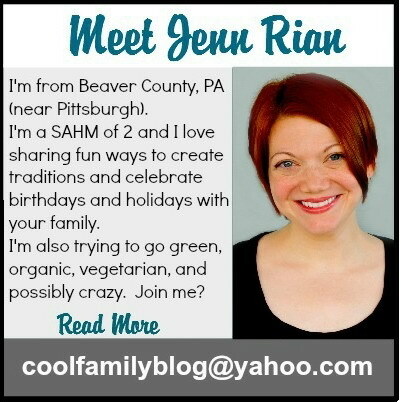 Here’s the photo that I entered. You can actually enter a whole album and I did…I have no idea why they picked this one. I thought the other one was funnier. You can vote for Adaline every day from now until Sunday 01/09/2011. 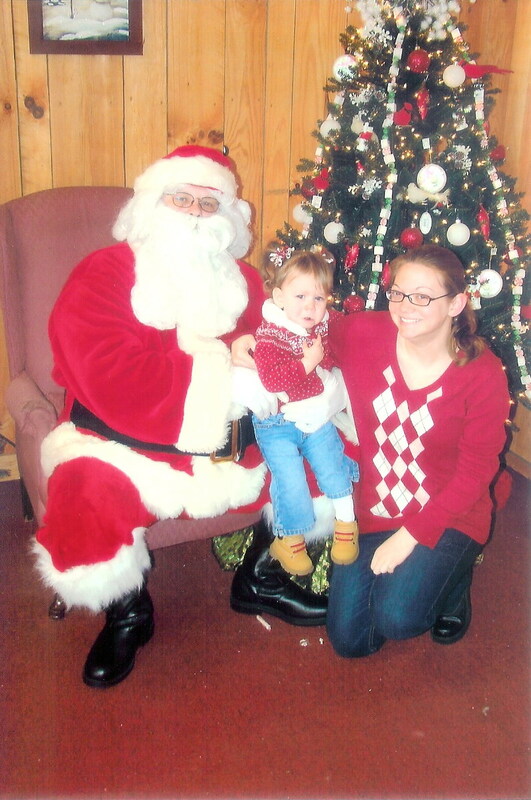 Posted on January 3, 2011, in Adaline, Santa Photos. Bookmark the permalink. Leave a comment.